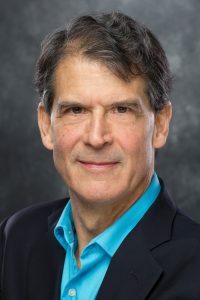 While in coma with his brain shut down, Dr. Eben Alexander experienced a spectacular odyssey to realms beyond our known physical universe—an ultra-real journey that ran counter to all conventional neuroscientific views about brain, mind and consciousness. He recounted his extraordinary spiritual experience in the #1 NYT bestseller Proof of Heaven. In his third book, Living in a Mindful Universe, the true sequel to Proof of Heaven, he develops a scientific framework to better comprehend his inexplicable experience. Remarkably, his ongoing personal journey reflects a revolutionary shift now underway within our modern scientific understanding of the nature of reality. Eminent thinkers of the late 19th Century (e.g. William James, Frederic W. H. Myers, Henri Bergson) had strong evidence for the eternity of our souls, but the century of reductive materialist science (ushered in by Albert Einstein with his annus mirabilis papers of 1905) led us down a detour leading to the worship of pure materialism. The enigma of quantum mechanics is actually the “smoking gun” that points back towards a path that is more consistent with humanity’s search for truth over millennia and the fundamental role of consciousness in the universe. Topics include the hard problem of consciousness, the illusion of a separate self, time and causality, the brain as a reducing valve and the creative source that underlies all of reality. After decades as a physician and teacher at Harvard Medical School and elsewhere, renowned academic neurosurgeon Dr. Eben Alexander thought he knew how the brain, mind, and consciousness worked. A transcendental Near-Death Experience (NDE) during a week-long coma from an inexplicable brain infection changed all of that – completely. Memories of his life had been completely deleted, yet he awoke with memories of a fantastic odyssey deep into another realm – more real than this earthly one! Since his 2008 NDE he has been reconciling his rich spiritual experience with contemporary physics and cosmology. We are conscious in spite of our brain. By probing deeply into our own consciousness, we transcend the limits of the human brain, and of the physical-material realm. His story offers a crucial key to the understanding of reality and human consciousness.